In this episode we’re diving into the 5 things I wish I’d know when starting my wellness journey. It’s hard to be gentle when you have big goals. But perfection is an impossible target, and holding yourself to such a standard is a quick way to burnout. Plus, it’s just really difficult to maintain in the long run. Instead try to be gentle in the process. Know yourself, your life context, and what works for you. Then honor it. External outcomes are fine, and there’s nothing wrong with wanting to lose weight, get toned, eat healthier, or meditate more. Try to keep in mind why you’re doing this, and then see if you can bring the focus inward. Even though there are a million prescriptive diets and wellness plans in the world, there is more than one right way to wellness. Trust yourself in finding what works for you. Not doing things according to a perfect plan does not mean you’re failing. If you find yourself pushing through, checking boxes, and missing the joy see if you can take a step back. Is there a way to make some changes so that you’re working from a place of support, belief, and slowness? 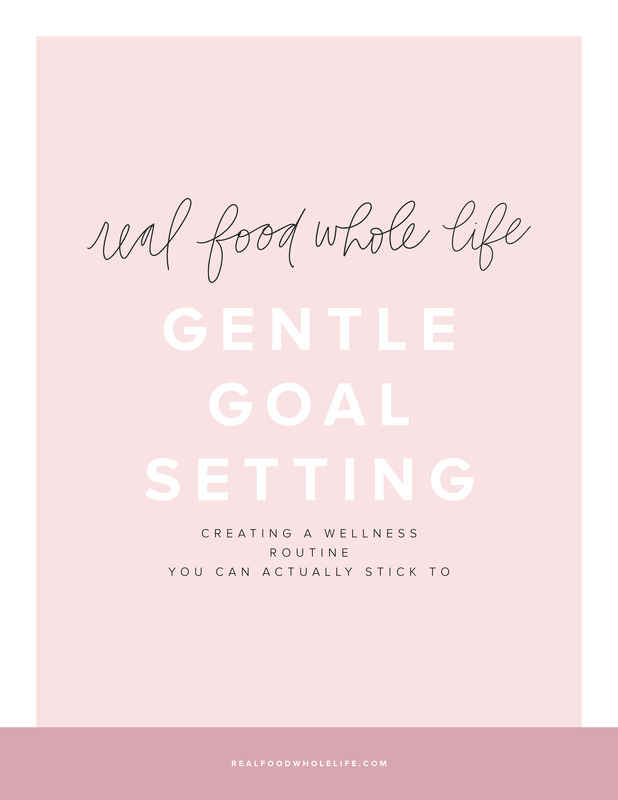 We're taking a deep dive into getting started with a wellness routine that you’ll actually be able to stick to in real life in today’s episode of the Feel Good Effect podcast. By the end of the show you’ll have an actionable plan to get started with your own routine today! Download your free guide to use alongside the episode. More on a Fab Four meals: Episode 003 with Kelly LeVeque. Thank you to our sponsor, Thrive Market. Head to https://thrivemarket.com/feelgood for a free month trial membership, 25% off your first order, plus free shipping.